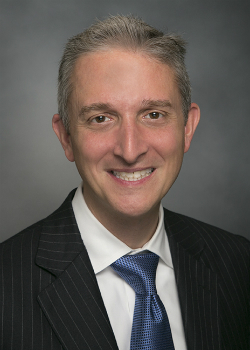 Stephen Parodi, MD, is executive vice president of External Affairs, Communications, and Brand at The Permanente Federation, and is also an associate executive director for The Permanente Medical Group (TPMG). As an executive vice president on the Federation’s National Permanente Leadership Team, Dr. Parodi has oversight over the Federation’s external affairs functions, which include government relations, public policy, communications, and brand strategy. He serves as chairman of the board of the Council of Accountable Physician Practices (CAPP) and also helps to oversee Kaiser Permanente’s Center for Total Health in Washington, D.C.